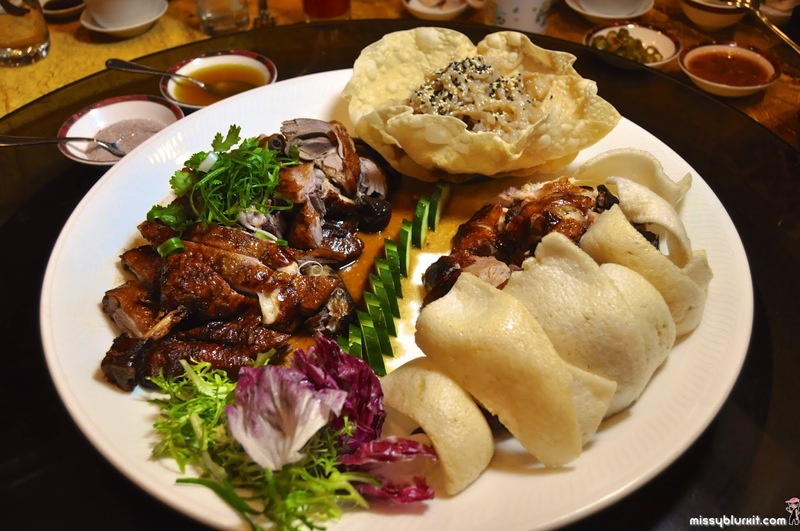 China Treasures in KLGCC is not just another restaurant in a golf club. This is one restaurant that churns out good Chinese cuisine just about every visit that we make to this club. 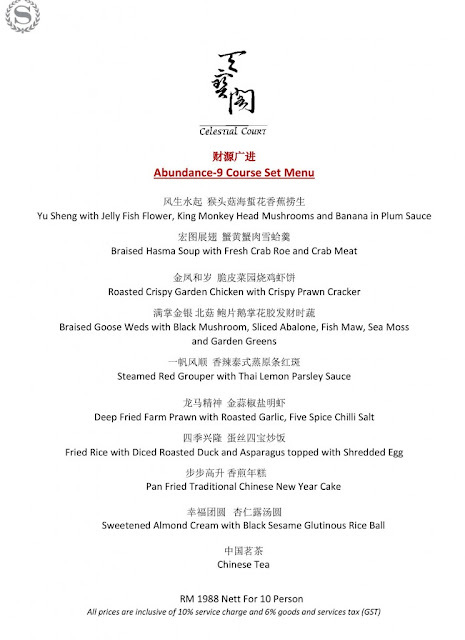 Usher in the year of the Fire Monkey at China Treasure with an impressive pork free CNY menu in a just as impressive set up. Book early and you might just be able to secure tables with a good view of the golf course that looks really magnificent during sunset. 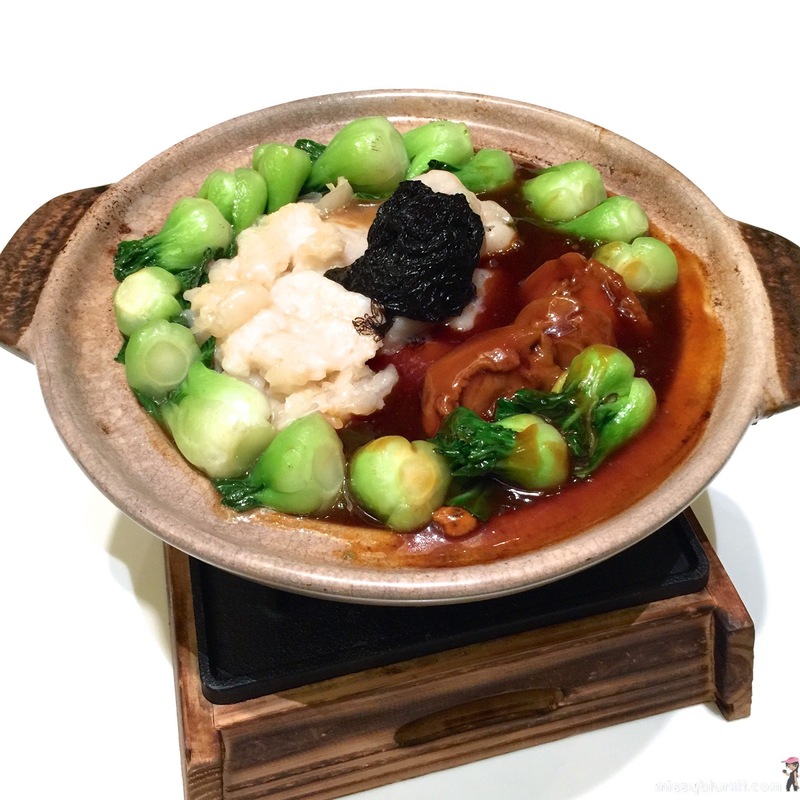 A highly recommended pork free option in Petaling Jaya has always been Zuan Yuan @ One World Hotel. 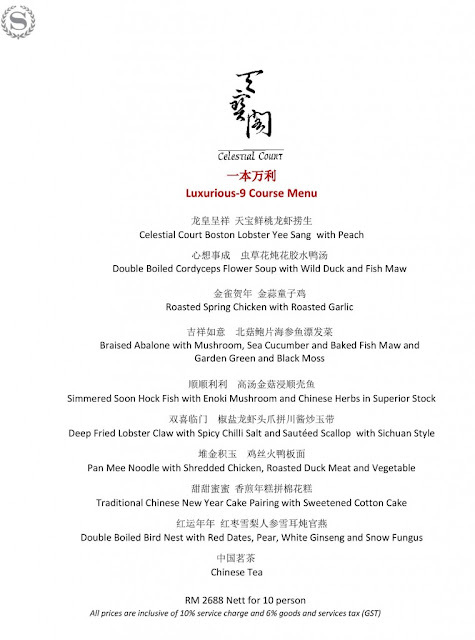 This CNY, Zuan Yuan whips up an impressive menu. Some traditional dishes and definitely some interesting new dishes too. 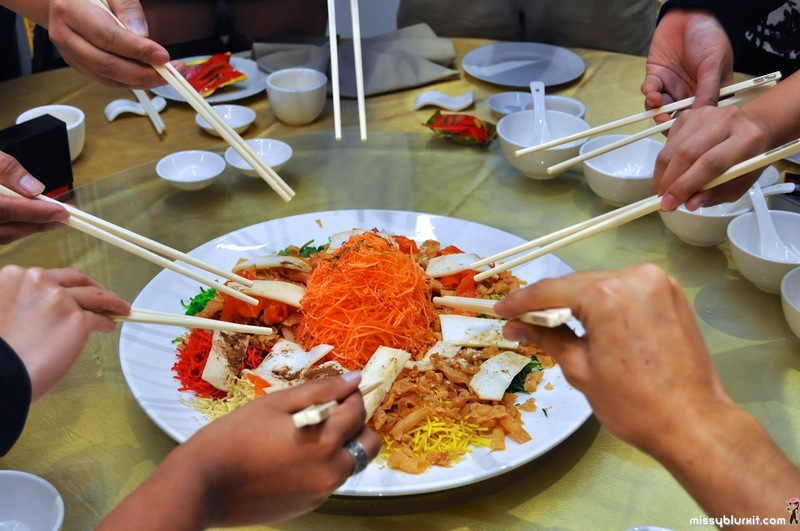 Enjoy your reunion meal at Kip Hotel is one of the latest business class hotels to be opened in Kuala Lumpur. 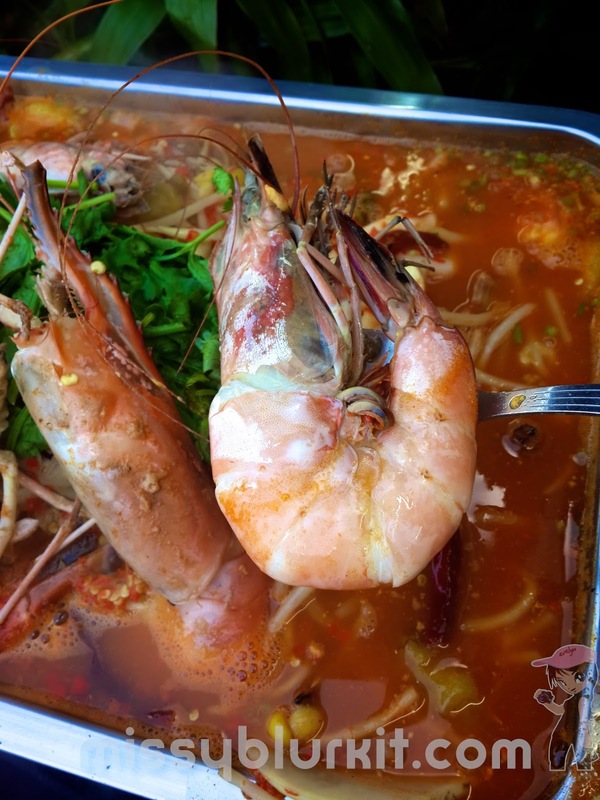 A fairly new hotel but the kitchen is helmed by a very experienced Executive Chef Simon. Take your pick of 2 set menus priced at RM988nett and RM1,188nett per table featuring classic CNY delights. 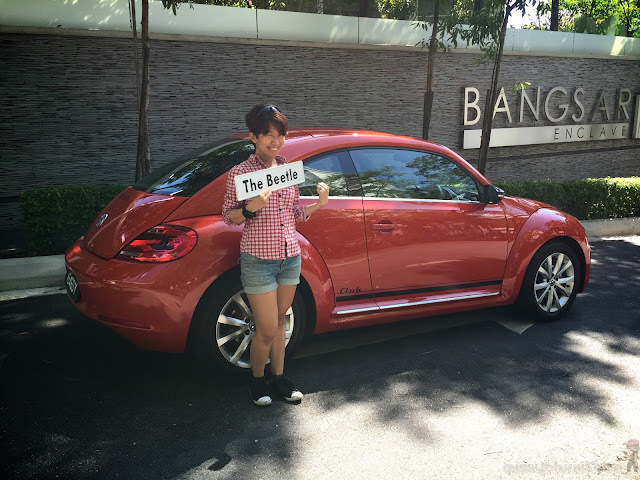 Volkswagen Beetle Club Edition --> Our cute ride for the weekend as we ushered in a brand new year with a runcation and of course a makan trip to Malacca. For us, the car is more than just a caravan of transport. Beyond point A to B or a certain symbol of status, cars are a way of life for us! If you want a porky CNY meal, then Lai Ching Yuen remains one of the few restaurants in hotel that whips out a porky menu. 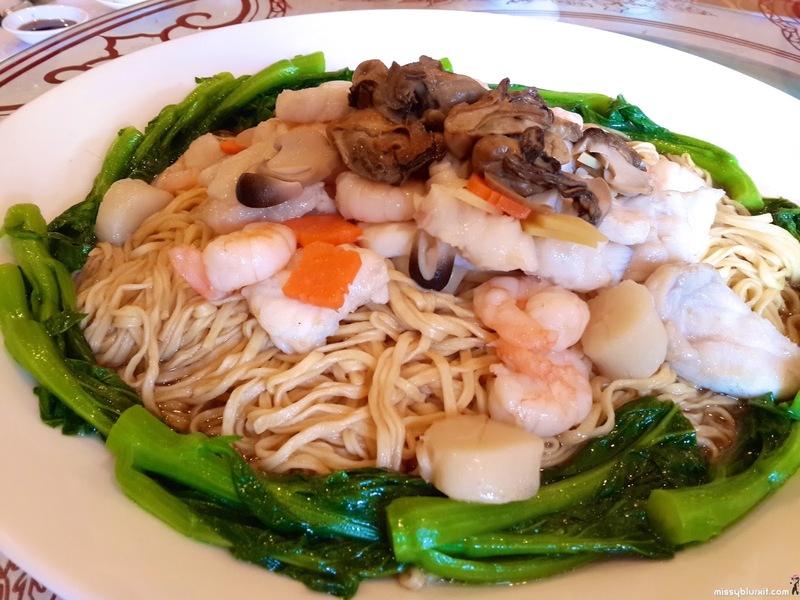 A popular favourite with many Cantonese cuisine enthusiast and of course a must visit when our relatives return from Australia, Canada and Singapore. Why? 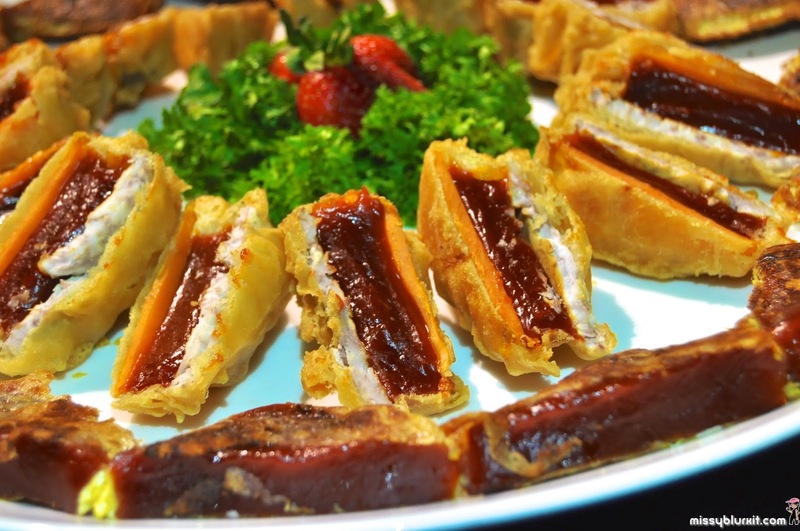 Food is good after all these years and because it holds many memories of good meals with our loved ones. Celestial Court @ Sheraton Imperial Kuala Lumpur whips out a luxurious CNY menu to usher in the year of the monkey. Diners can opt for yee sang with ingredients such as Boston Lobster, Longevity Peachm Marinated Preserved Truffle Boston Lobster Meat and even contemporary options of Bananas and Chinese Pear. Take a pick of the 4 menus priced between RM1988nett to RM2688nett for a standard table of 10 pax. 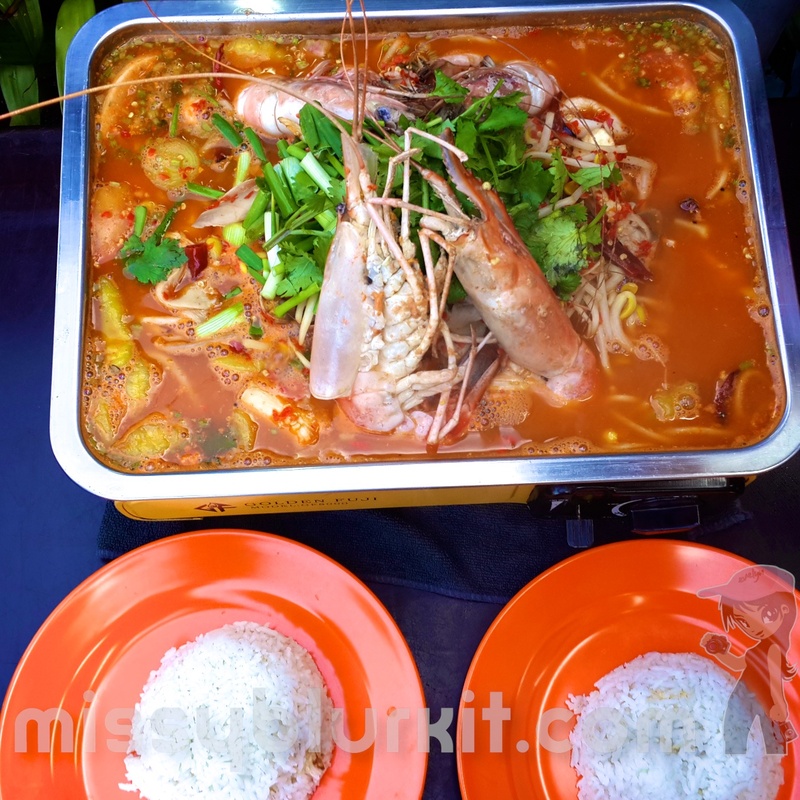 The dishes are also available ala carte if you are dining in a smaller group. 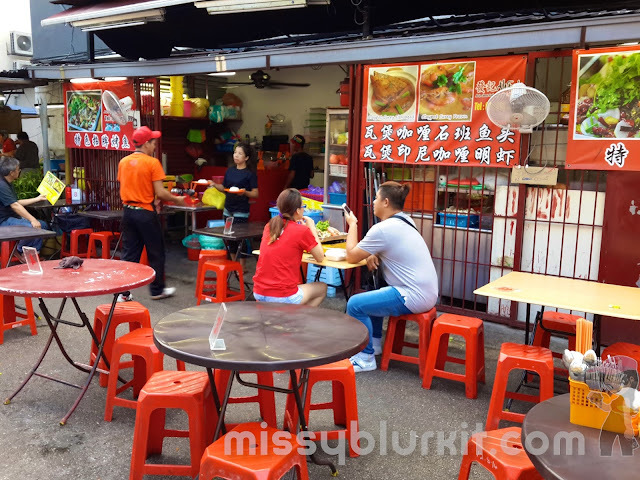 We sampled a few dishes from the 4 menu. They were all memorable and impressive. 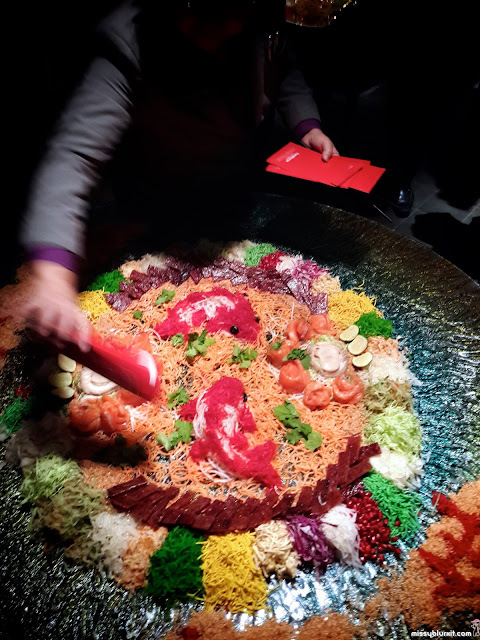 In fact, I can't put a finger to fault anything that Chef Vincent Loo and his team whipped out. A sentiment that many of my dining companions agreed too. Undoubtedly luxurious and auspicious yee sang that will please more than just visual and taste buds. 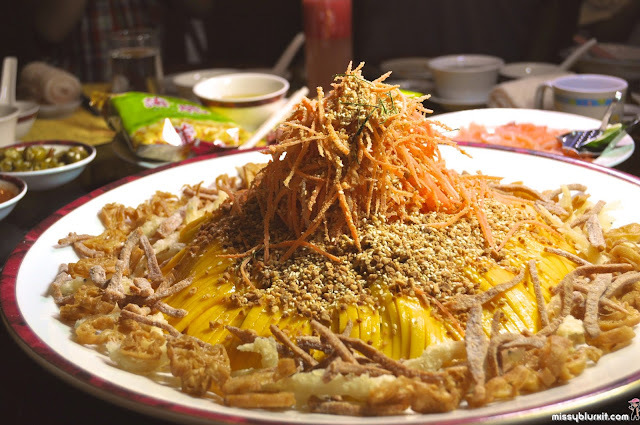 An interesting take with bananas in yee sang. Tasty twist to the usual ingredients / fruits used. Certainly would love to have more bananas in it! 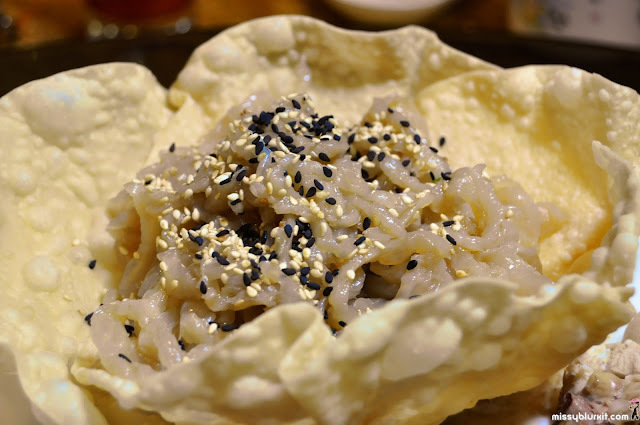 Delicious even in a traditional style. A plus point if you love peanuts like the hubster and I both do. 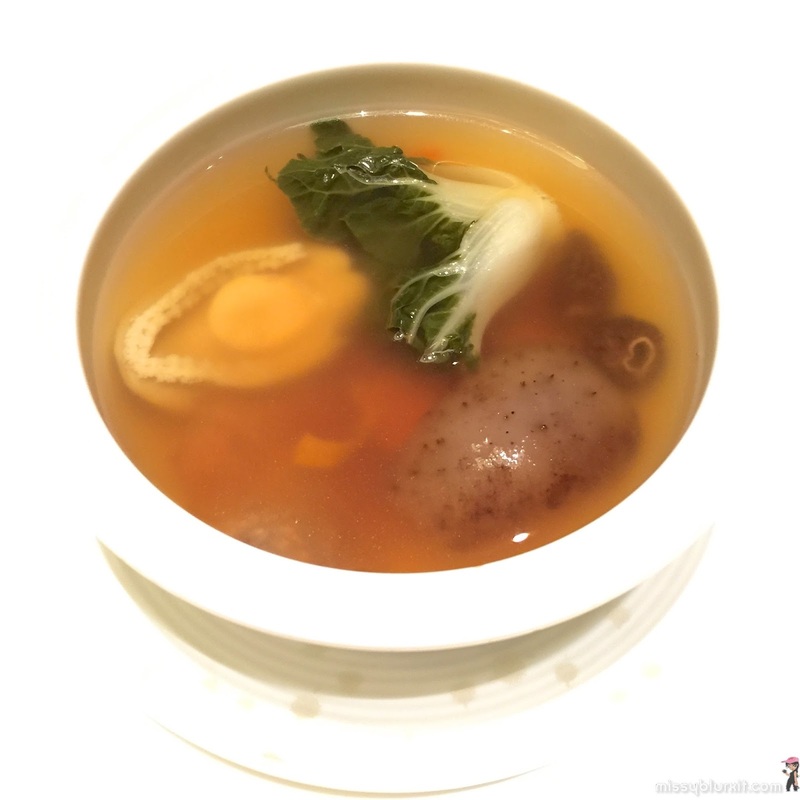 A traditional thick soup that is utterly comforting. 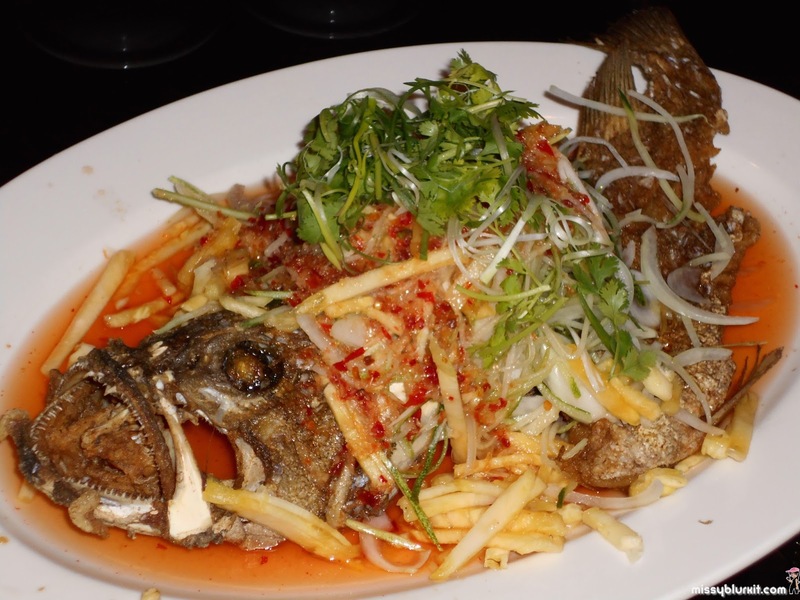 Not your usual bowl of CNY or soup at Chinese meals. 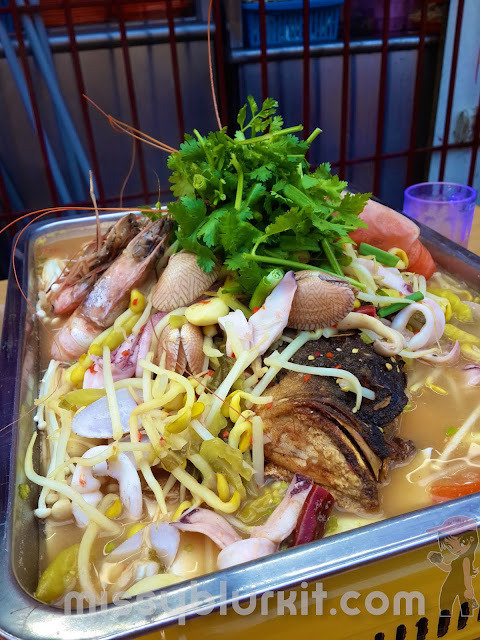 A thick but light soup of spinach with assorted seafood and bird's nest. I reckon that this will be popular with many ladies since the ingredients all are precious ingredients for better skin. 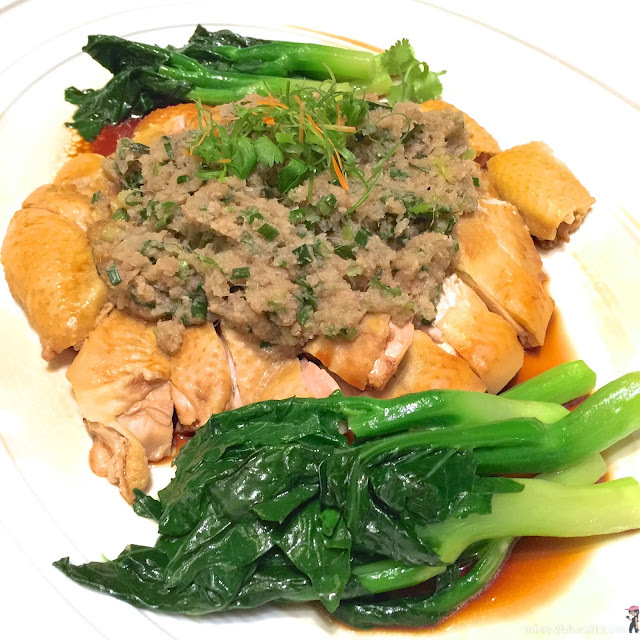 Braised Goose Web, Abalone, Sea Cucumber and Garden Greens. I personallu loved the goose web though I am not much a of goose meat fan. 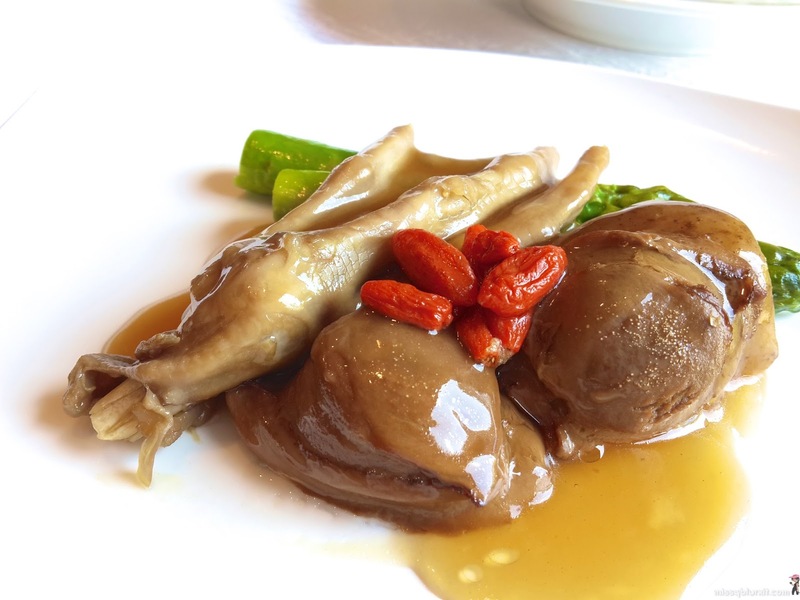 This is braised just right with flavours of the superior sauce and coupled with the goodness of abalone and goji berry makes this a finger licking dish. 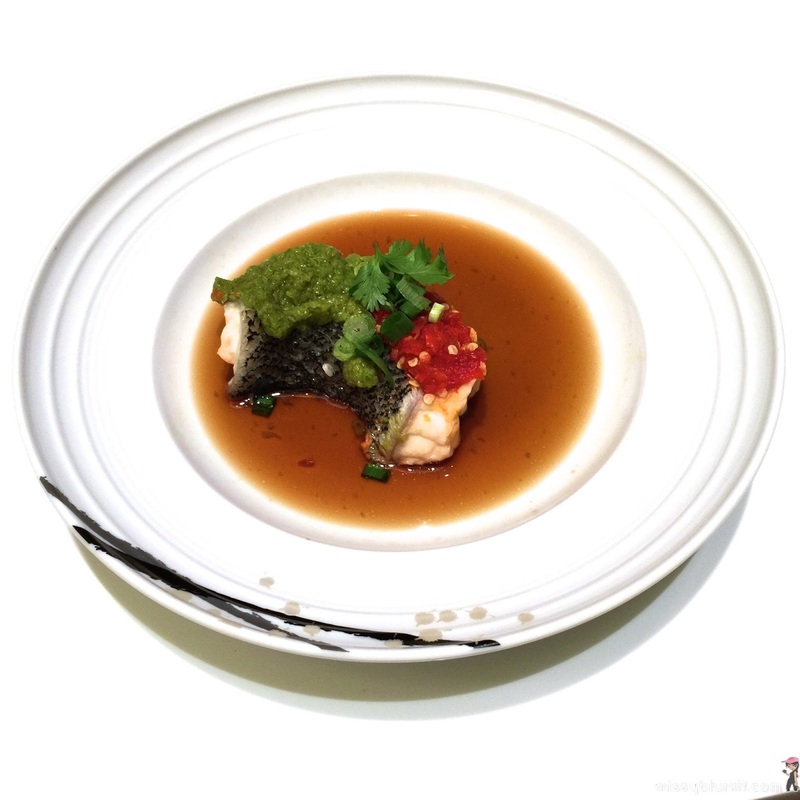 Perfect with a bowl of rice so that the sauce is not wasted! 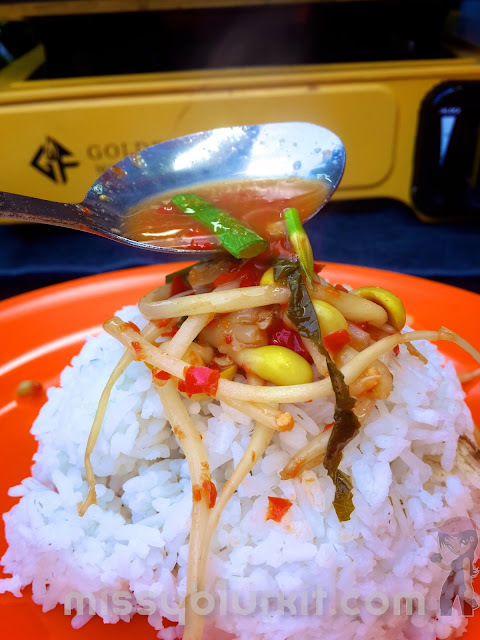 Appetizing combination of ingredient. 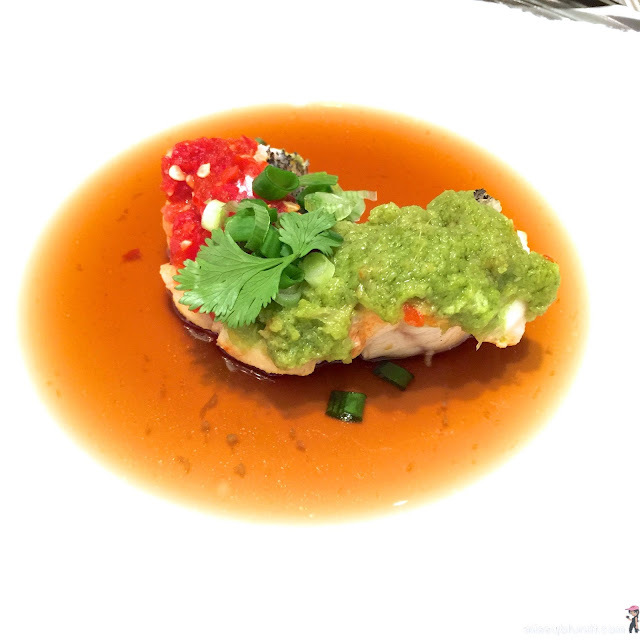 Subtle richness from pine nuts with the sweetness of scallops, crush of vegetable and slightly spicy sauce. Brilliant! 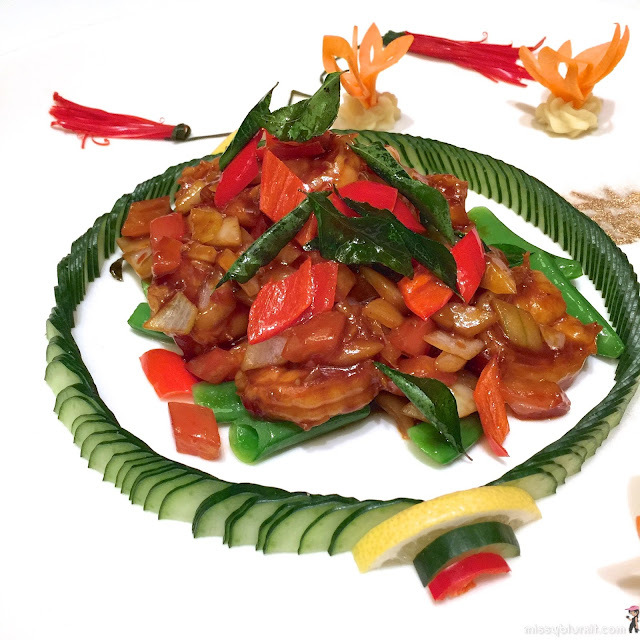 and Sauteed in Sichuan Style. 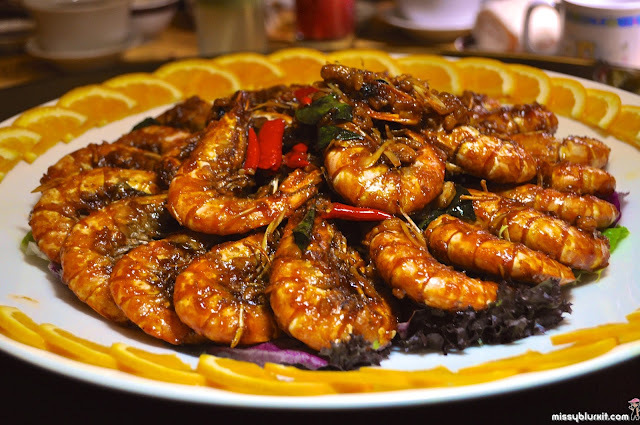 Tiger King Prawns Sauteed in Sichuan Style is a juicier / saucier preparation. Right prawn size ensures that diners get a juicy bite of the flesh that boast of the Sichuan flavours. 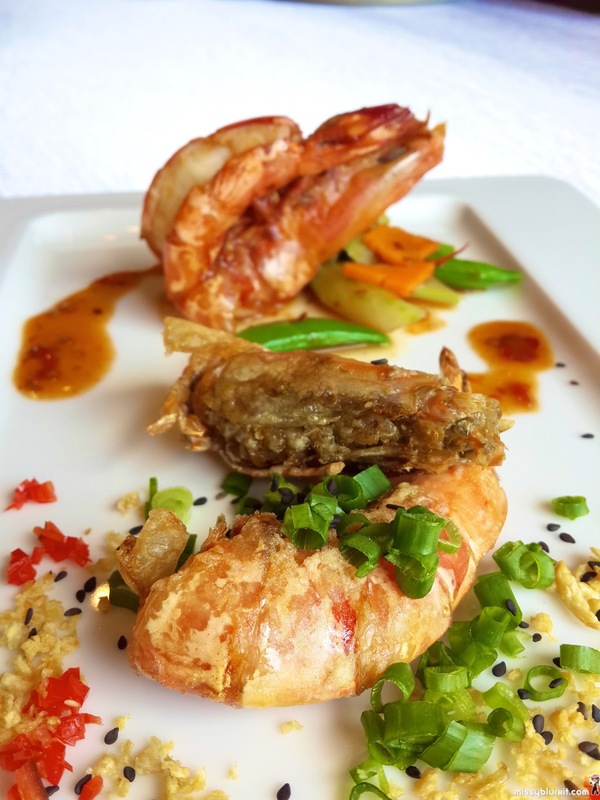 Tiger King Prawns Deep Fried with Spicy Chilli Salt is a personal favourite. 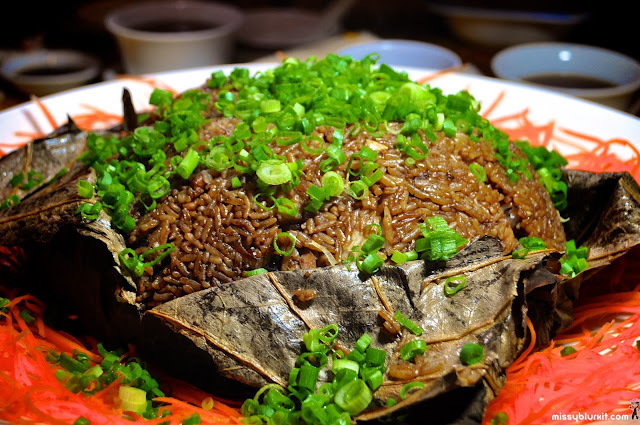 The shell is crunchy enough for lazy diners to eat the shell too! 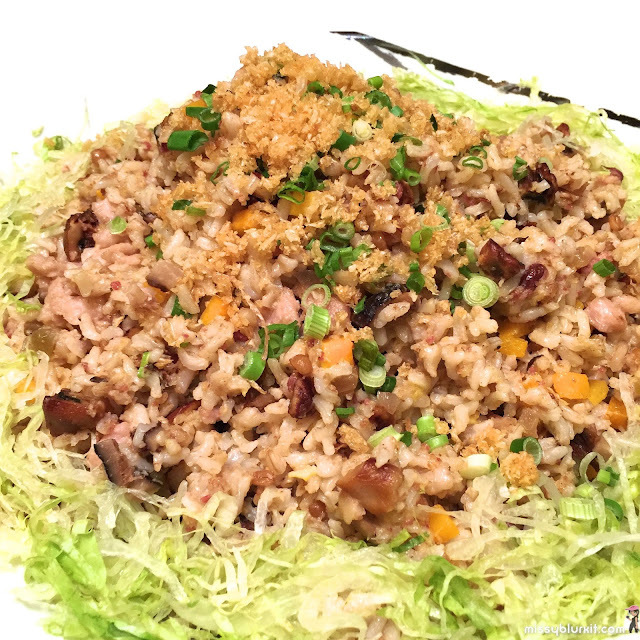 A lovely change from the usual fried rice or waxed meat rice. 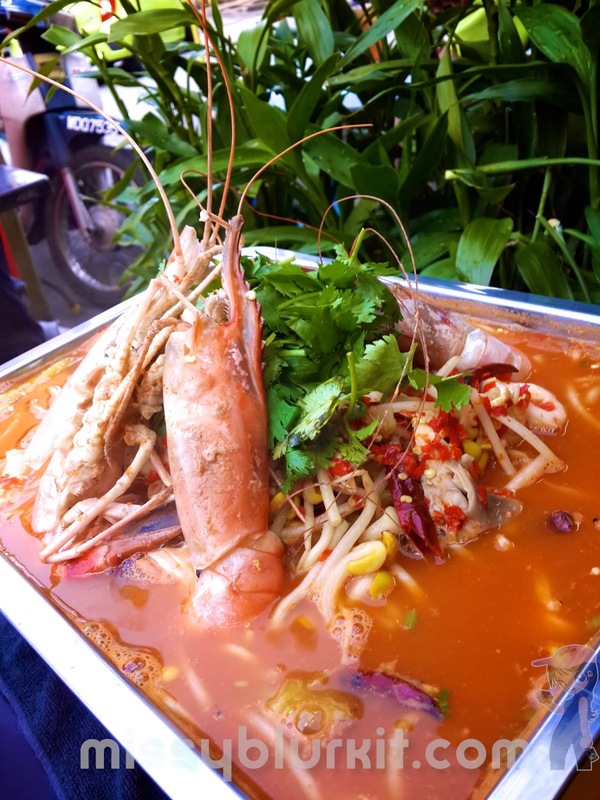 Delicious flavours from the noodle itself coupled with the rich and sweet goodness of scallops, prawns, fish and dried oysters. So good that I had a second helping! 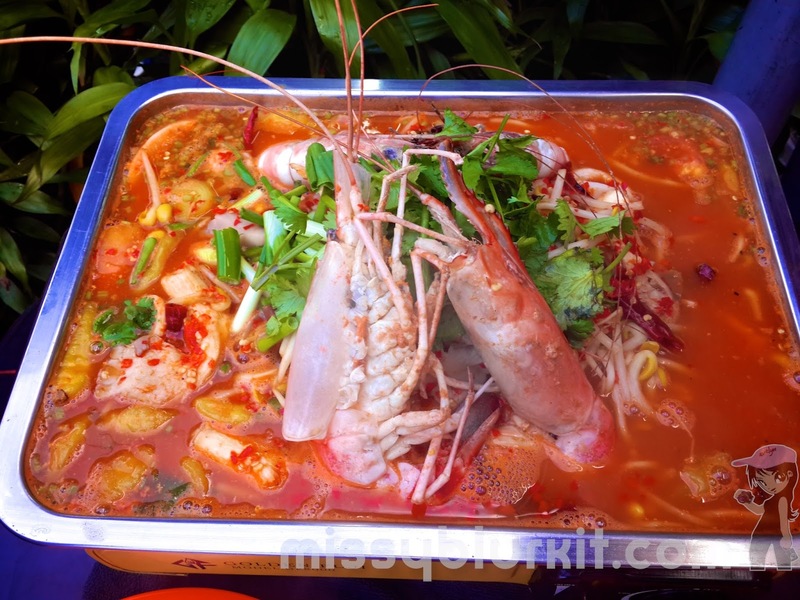 Nourishing goodness that also soothes the body especially with the current CNY hot spell. 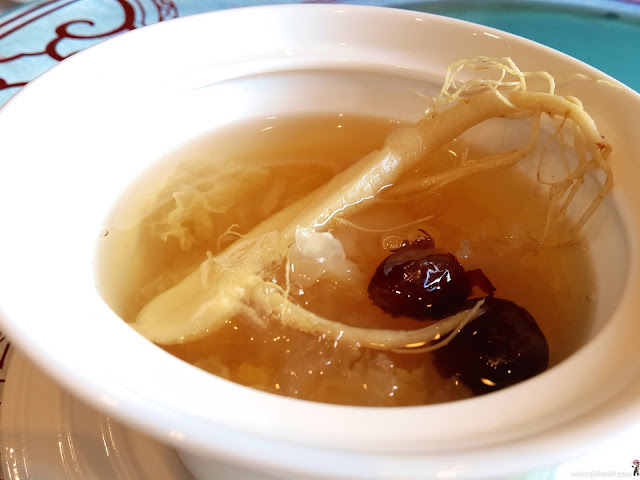 More bird's nest goodness for the ladies too! 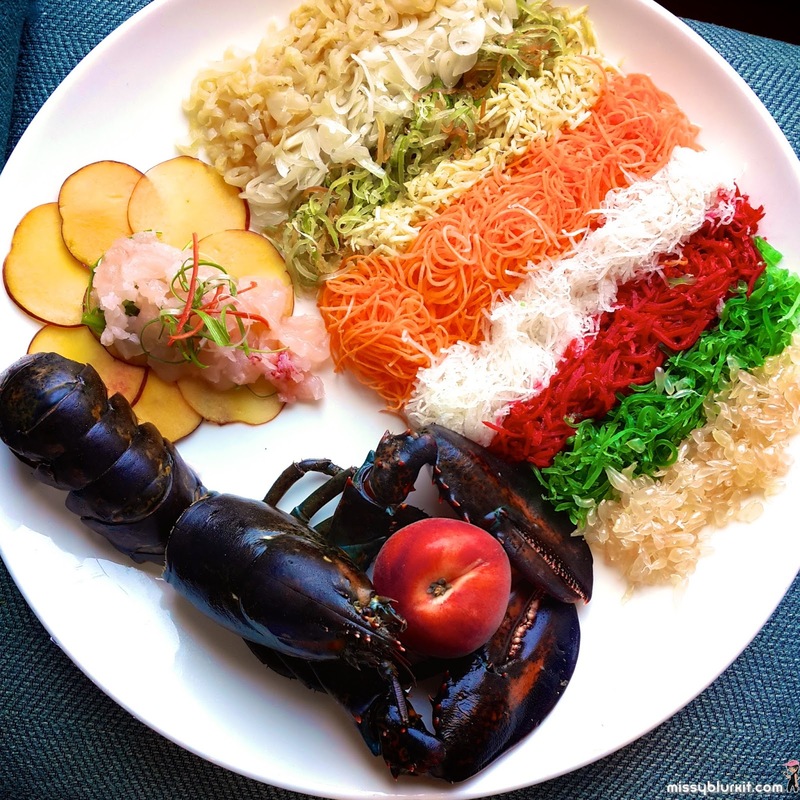 For a lip-smackingly ravishing meal to welcome in the Lunar Year of the Monkey, head for Vistana Hotel. 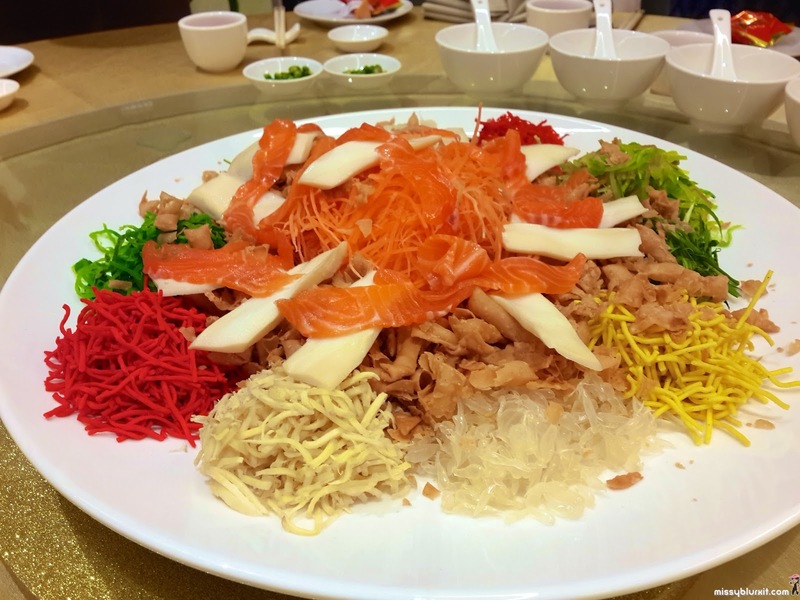 Take your pick of three set menus (for tables of 10 persons) at RM998, RM1,198 and RM1,398 for the Chinese New Year Yee Sang Banquet. 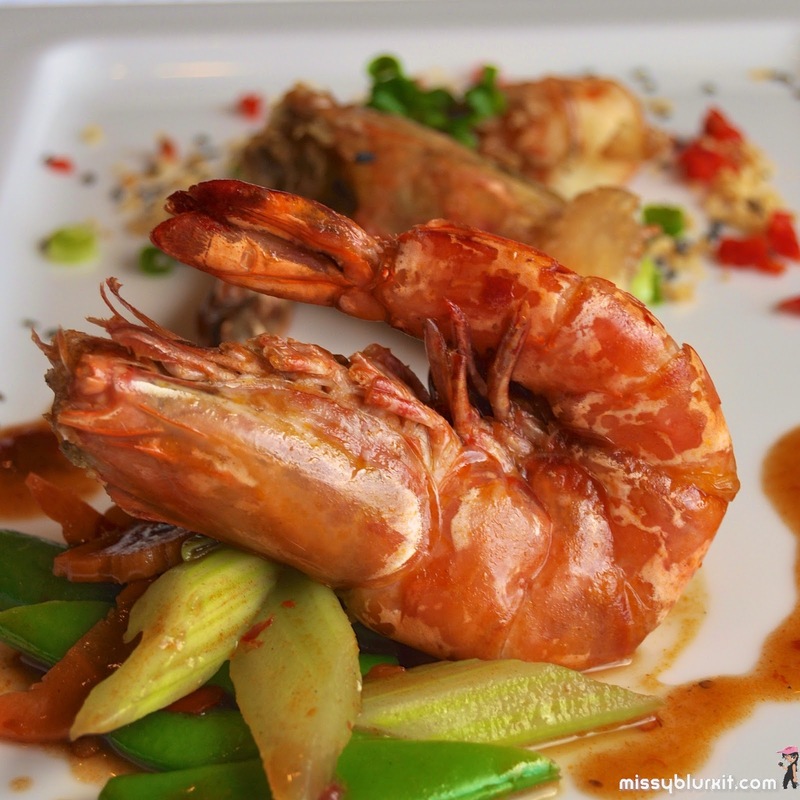 Every dining experience at Five Sen5es @ The Westin Kuala Lumpur is exquisite. 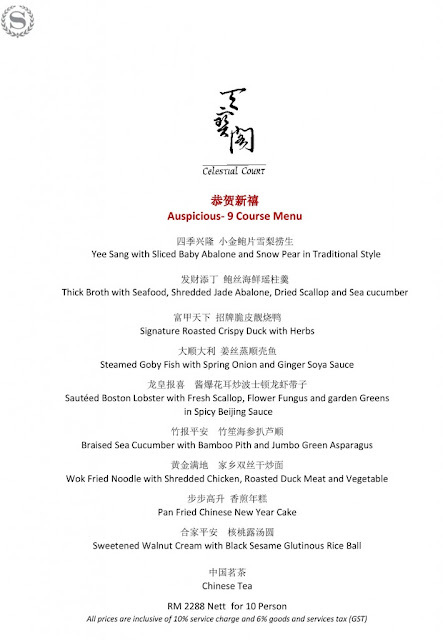 Memorable too because this is one of the few restaurants in hotels that serves a porky Cantonese menu. 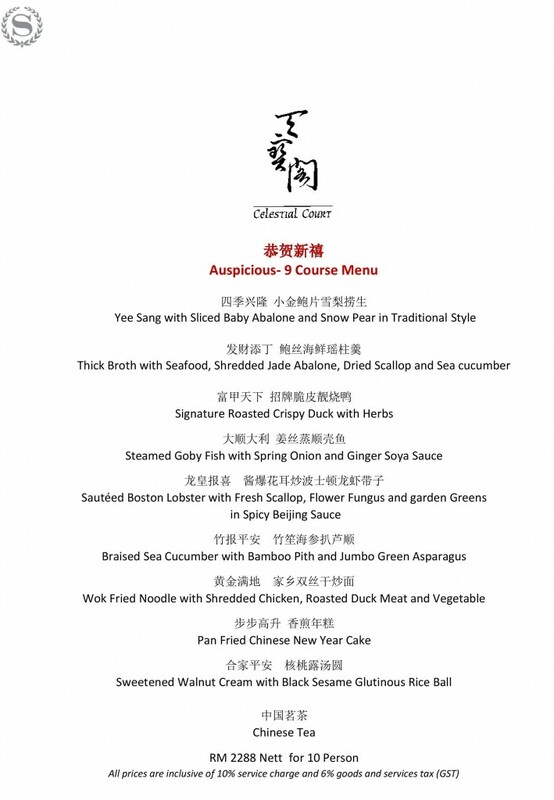 And this CNY, diners are in for an unforgettable menus designed to encompass the different sensory experience of Sight, Taste, Scent, Touch and Sound. CNY calls for reunion meals. There's plenty to have with family, friends, colleagues, associates etc. 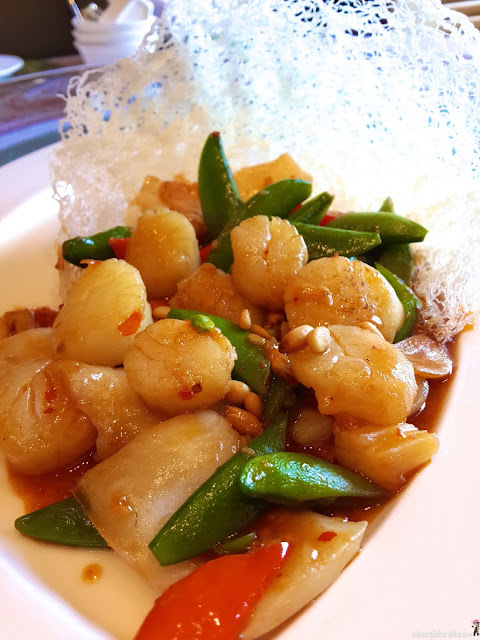 Lai Po Heen @ Mandarin Oriental Kuala Lumpur comes highly recommended especially when you don't have a huge group to dine with because they have menus for small numbers instead of the usual table for 8 to 10 pax! 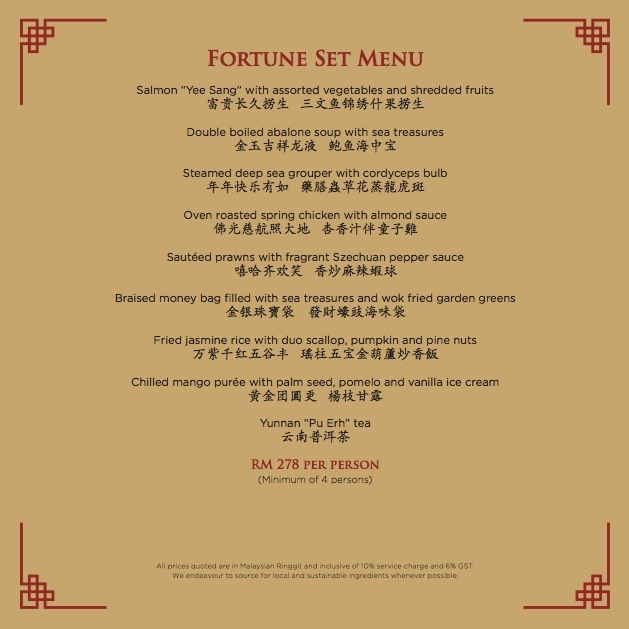 Take your pick of three 8-course set menus offered Fortune @ RM278 per pax, Prosperity @ RM388 per pax and Wealth @ RM628 per pax. Note the minimum order for 4 pax available for lunch and dinner. 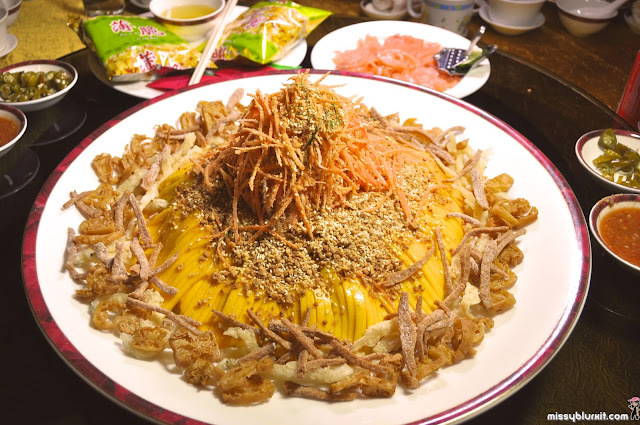 Diners also have the option of choosing from 5 types of yee sang at Lai Po Heen. 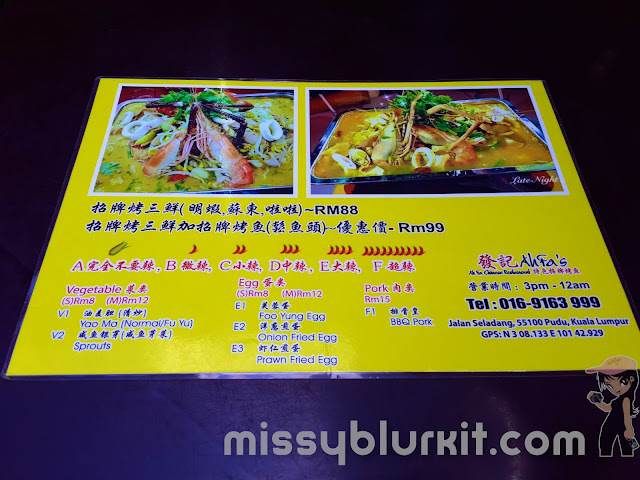 Available for lunch and dinner and are priced from RM138nett to RM488nett. 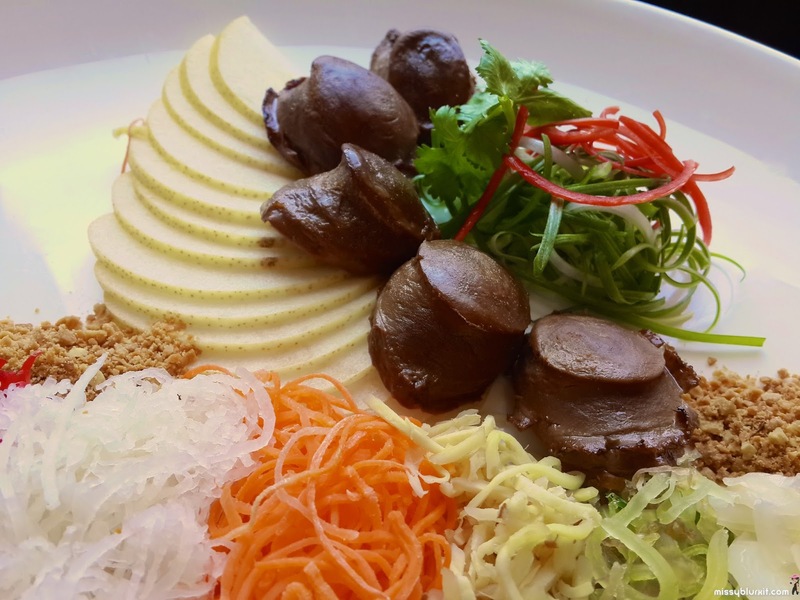 The options are Sliced Abalone in Thai dressing, Yellow Fin Tuna and Salmon, Soft Shell Crab and Snow Pear, Salmon and Assorted Vegetables as well as Assorted Vegetables and Shredded Fruits in Sesame Dressing. 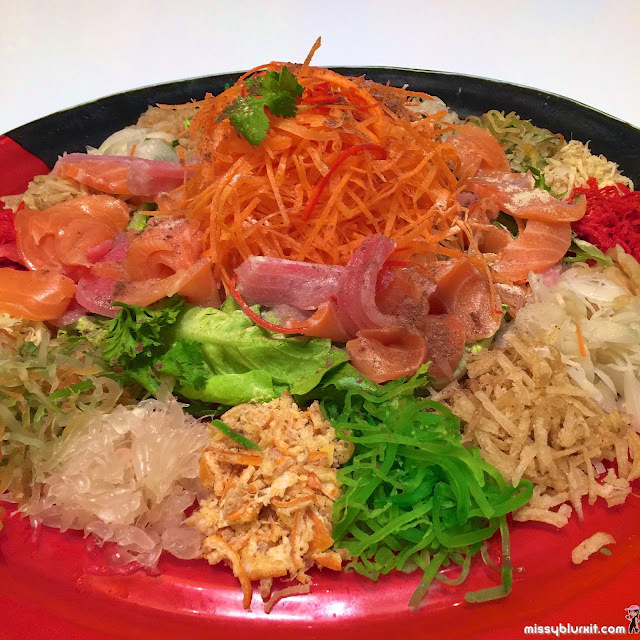 Our review kicks of with a yee sang of Yellow Fin Tuna and Salmon. 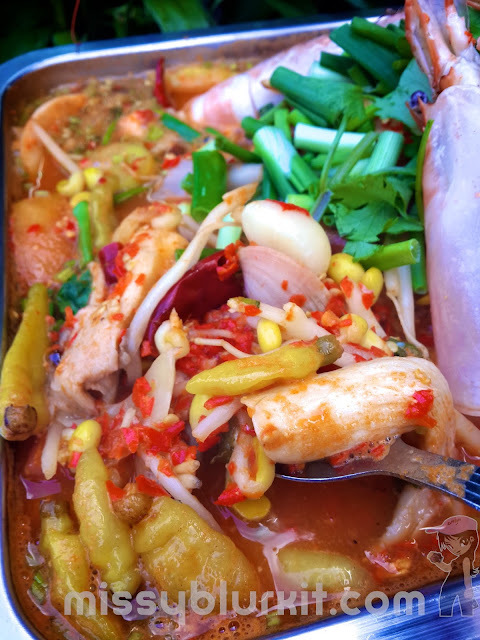 Vibrant colours and flavours. 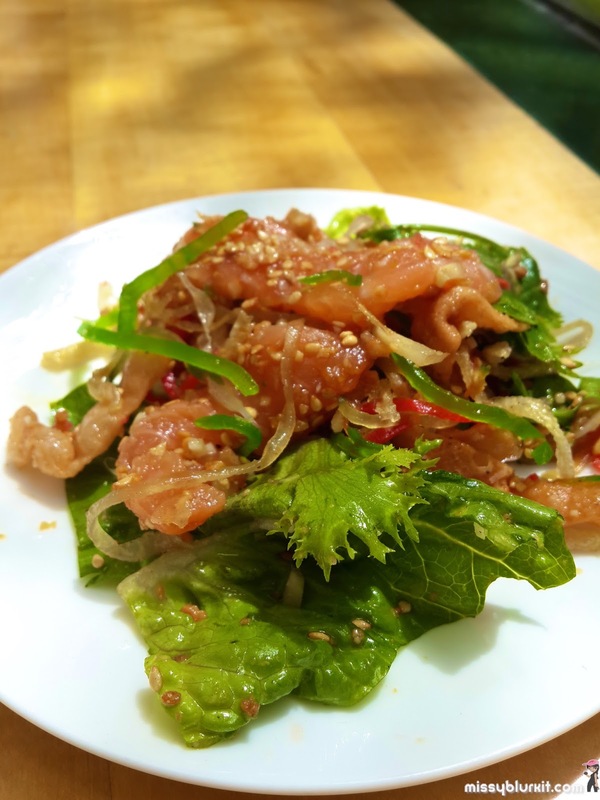 Of course because it is Yellow Fin Tuna, the hubster says this is his favourite yee sang thus far. 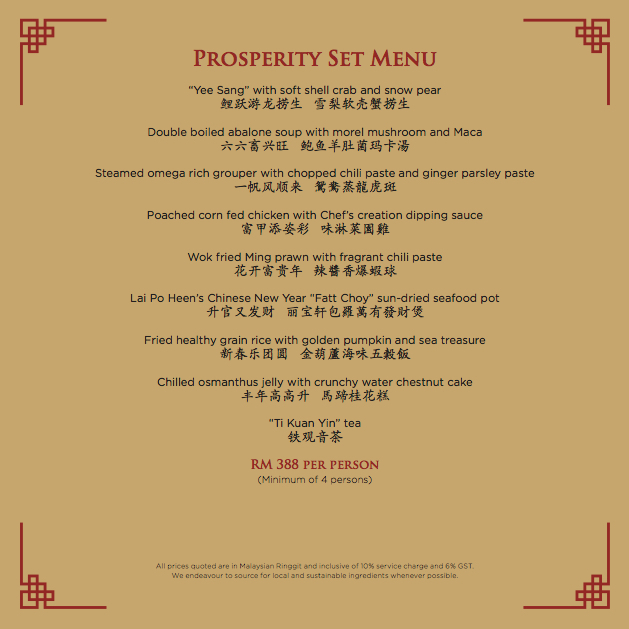 Our dinner of the Prosperity Menu @ RM388 per pax is an 8 course meal. 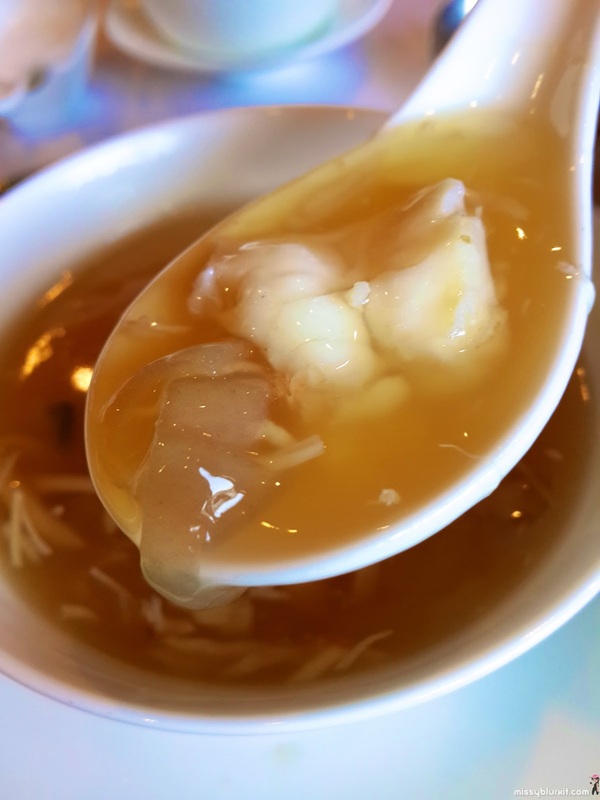 The benefits of soup is a long list. 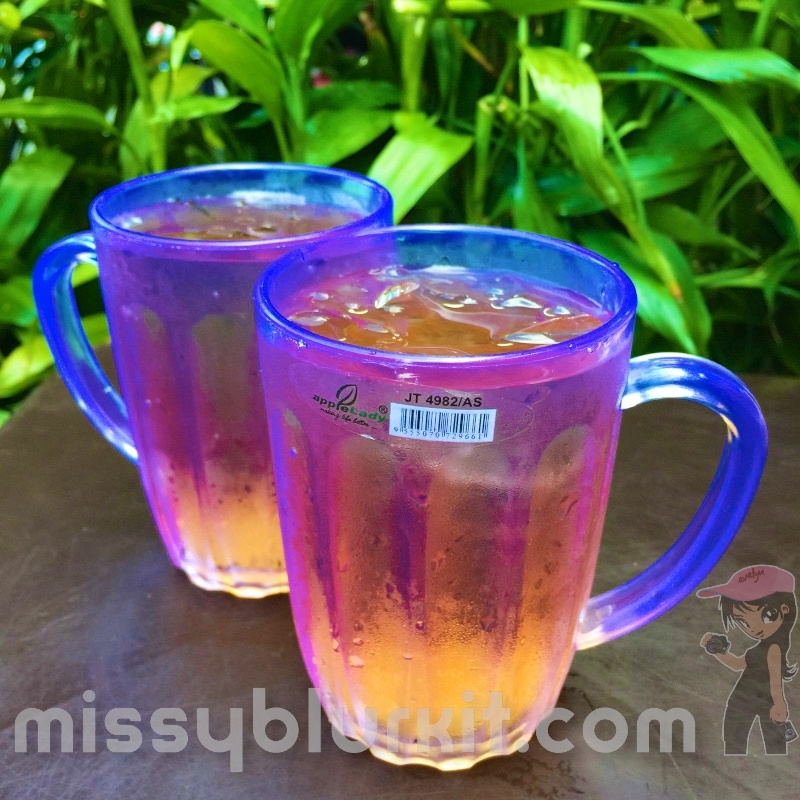 Most importantly is that it hydrates and nourishes the body with the ingredients used. 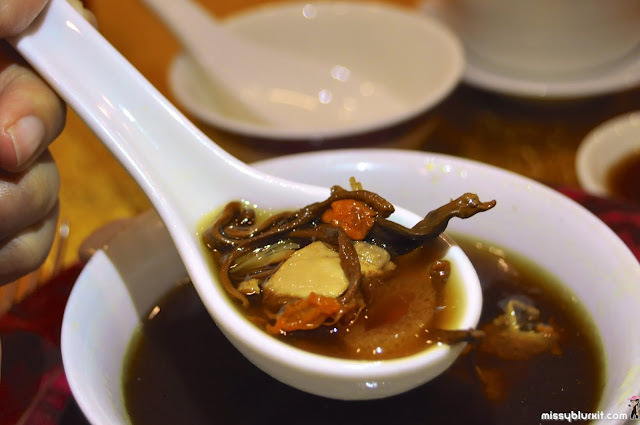 Lai Po Heen's double boiled soup is luzurious with abalone, sea cucumber morel mushrooms and a traditional herb Maca. Steamed fish served with 2 different toppings. 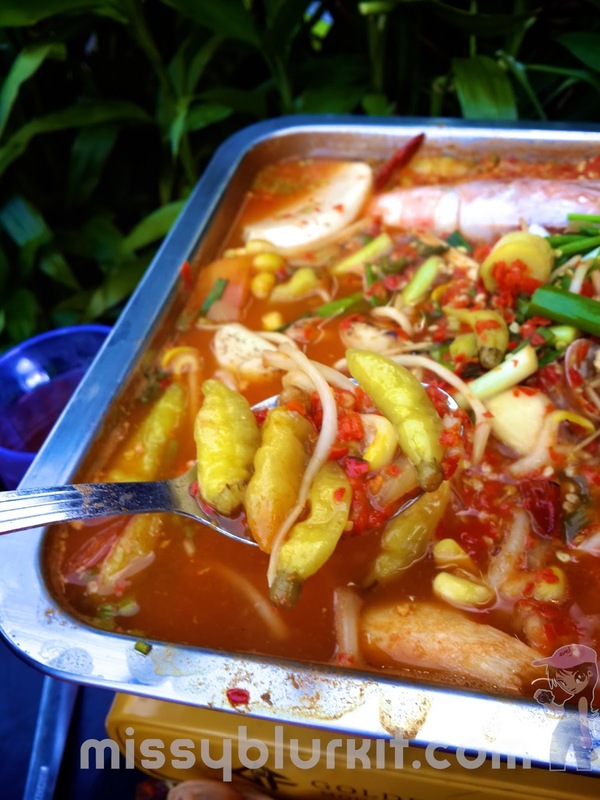 The classic ginger coriander paste and spicy chilli paste. A lovely presentation of colours. Corn fed chicken explains the more vibrant yellow coloured skin. 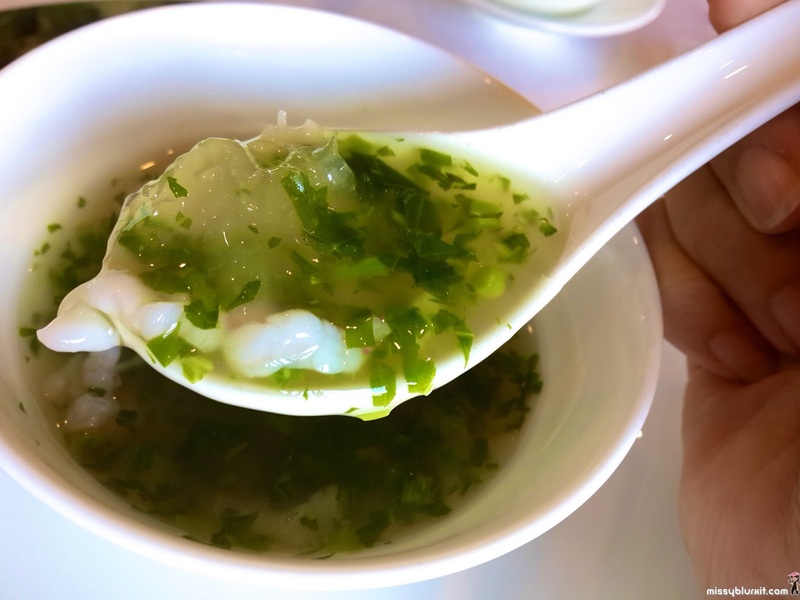 Marinated and poached just right, served with Chef's special recipe of minced ginger, spring onion and soy sauce. If you love prawns and hate the task of peeling the shells, then this wok fried ming prawn is perfect. Deshelled fresh prawns cooked with a special chilli saice, not too spicy but fragrant. A luxurious claypot filled with braised treasures of abalone, fresh scallops, fish maw, fatt choy and mushrooms with pak choy for colour and crunch. 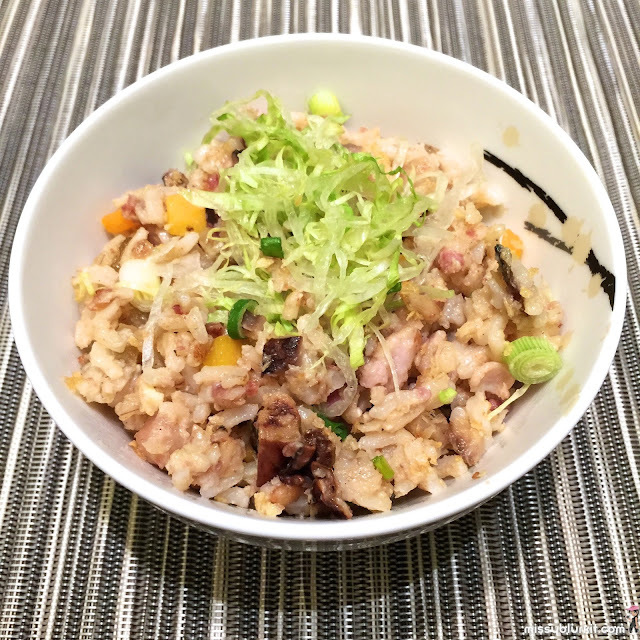 The rice might look a tad wet but do not be fooled. This is healthy brown rice fried with an assortment of delicious ingredients including dried oysters, dried oysters, dried scallops, prawns and healthy sweet pumpkins. 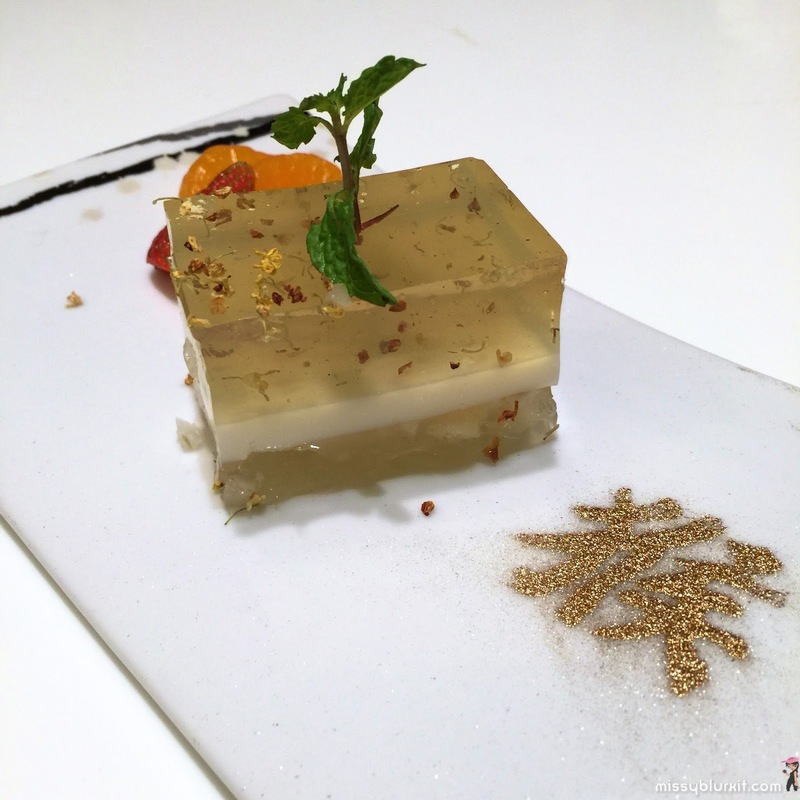 A simple and delicate dessert of fragrant osmanthus jelly with some contrasting bite from the water chestnut cake. 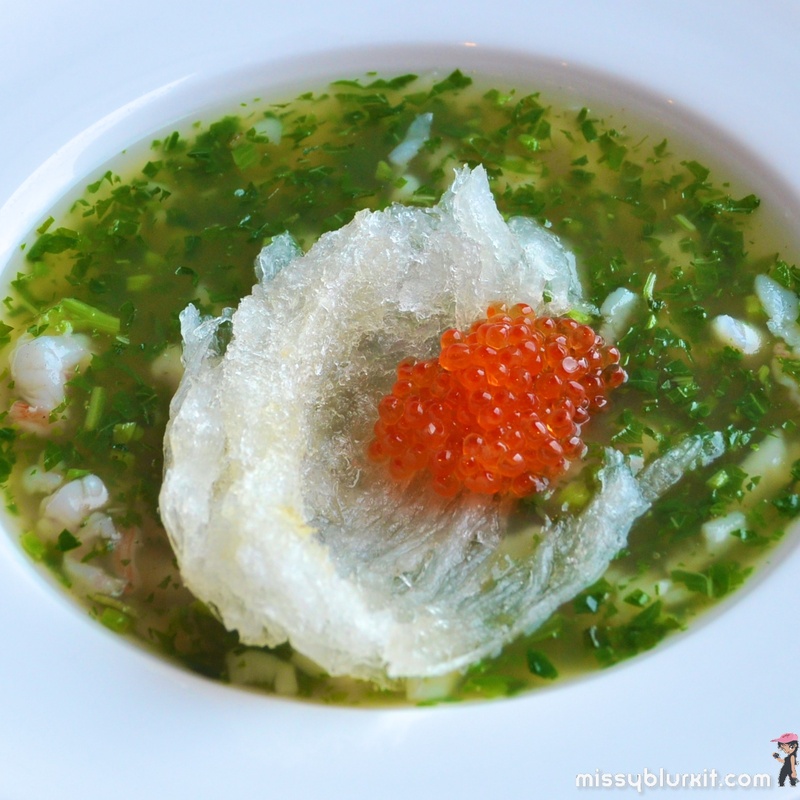 A refreshing end and good palate cleanser to the myriad of flavours from the dinner. The Emperor in Grand Dorsett Subang is one of our favourite pork free Chinese restaurant. 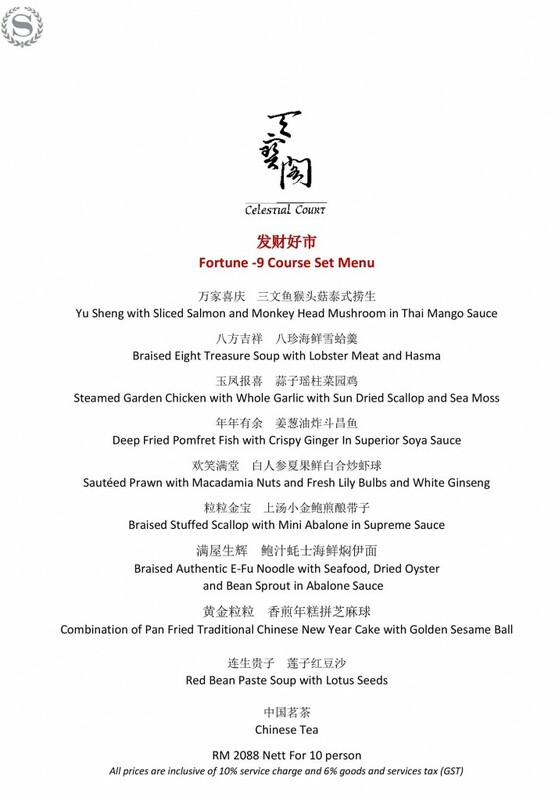 This year, diners can choose from 3 sets of 8 course CNY feast priced at RM1,188nett, RM1,388nett and RM1,588nett. 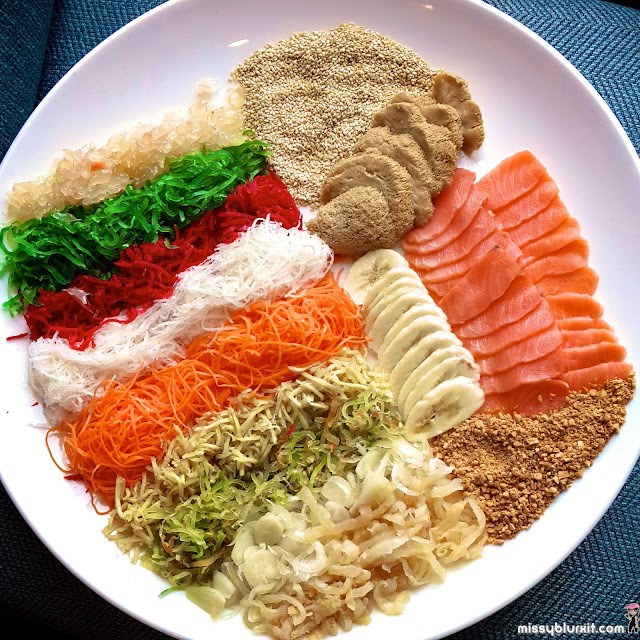 CNY is not complete without yee sang. 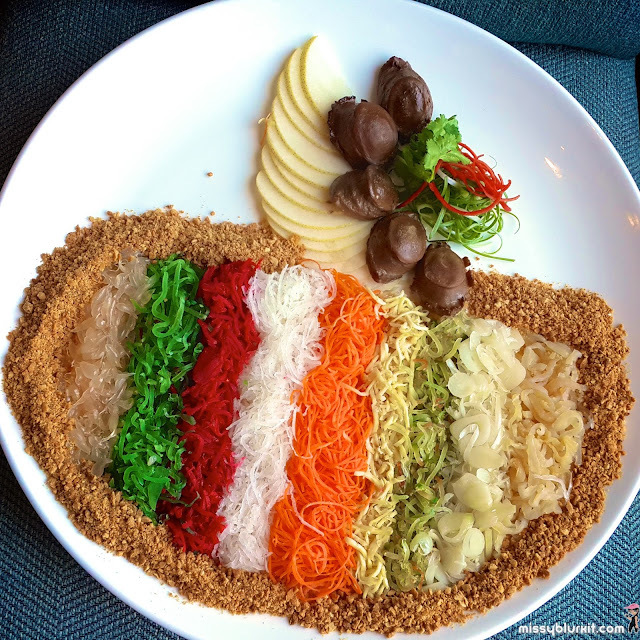 A Malaysian tradition that made its way all over Asia. The Emperor whips out a refreshing mango salmon yee sang to make the best of the current fruit season. The prices of yee sang start from RM58nett and with every purchase of Yee Sang, guests can indulge in selected dishes for RM8nett only. 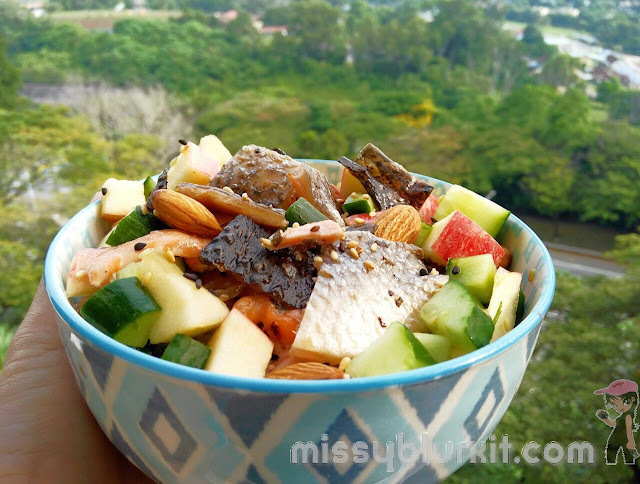 Nourishing goodness that is super tasty too. So good that even lil kids on our table slurped them up. 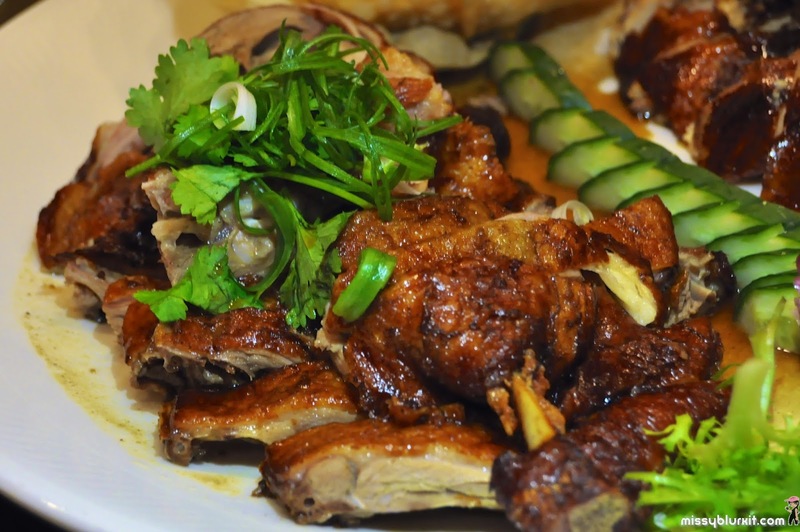 Crispy skin and perfectly marinated making it utterly addictive. 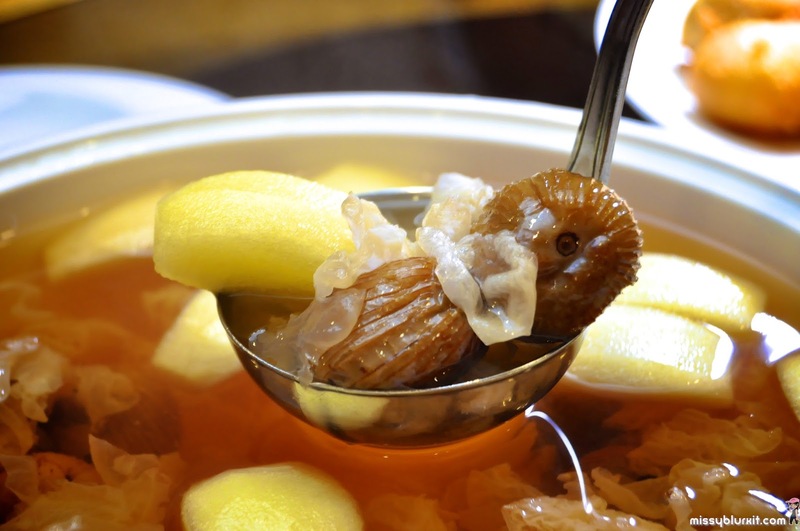 Marinated jelly fish for a contrast of texture and flavours from the duck and chicken. Very well received by the folks at our table. 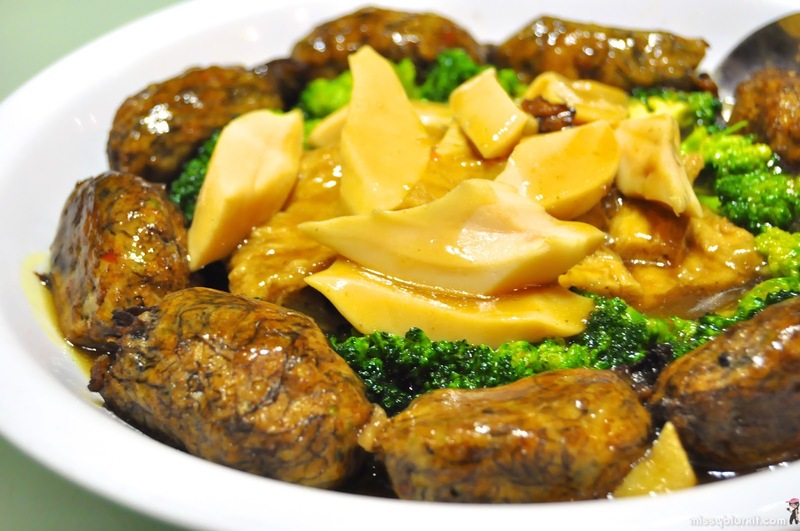 Ugly looking dish that taste utterly good. 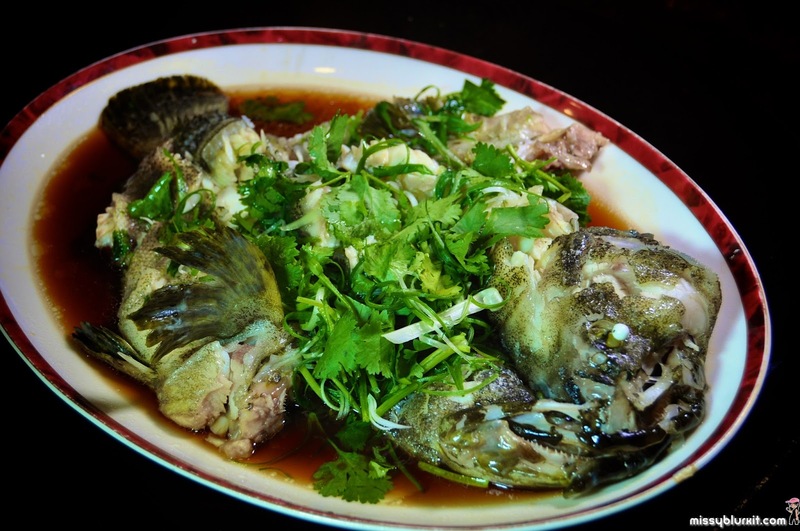 Steamed just right, plump flesh with superior sauce. My favourite for the night to go with a bowl of white rice. 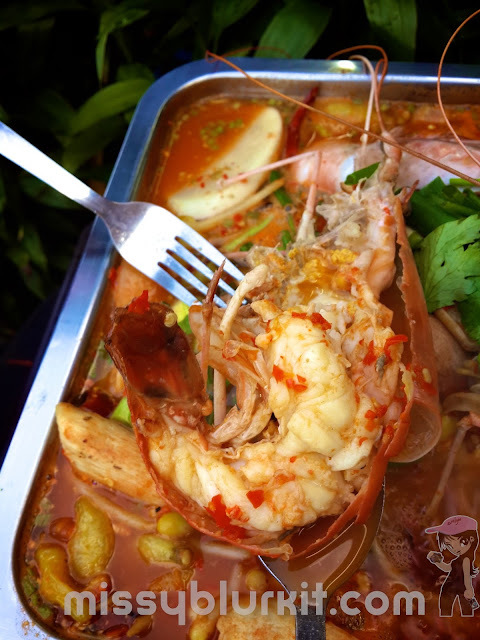 Prawns are a must have for reunion dinners. 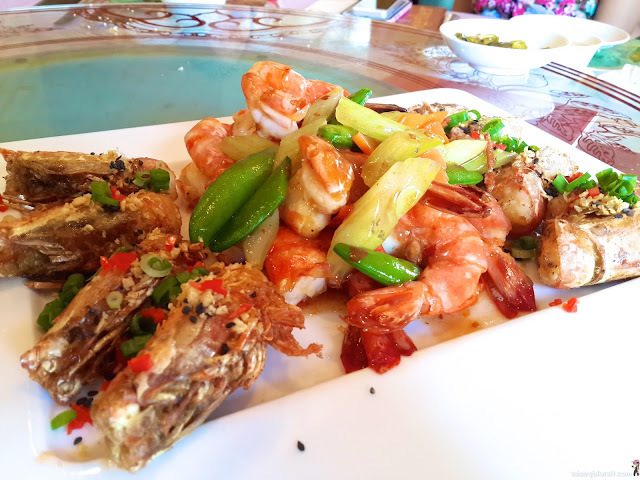 "Har" in Cantonese sounds like laughter and this finger licking good prawns had us all happily laughing during our meal since we all peeled the shells with our hands like happy kids. 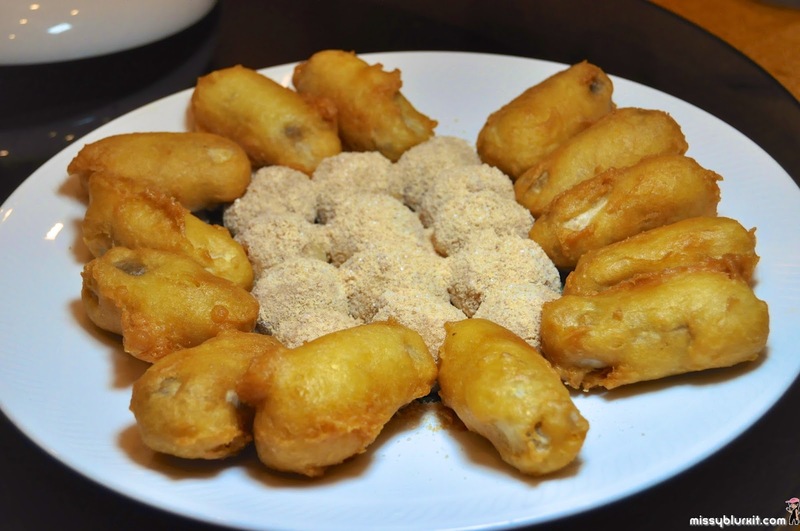 A simple and classic tongsui that is refreshing after a heavy feasting. Sticky goodness in both the niangao (CNY cake) and mochi. 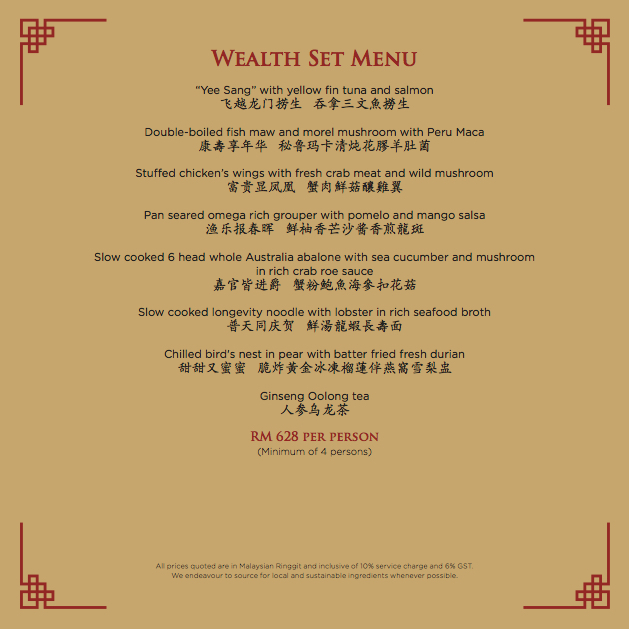 The CNY sets meals will be available until 22 February 2016.